Supertech Belfair Glorious homes that are spacious and comfortable as well! Supertech Belfair :Glorious homes that are spacious and comfortable as well! Gurgaon is the crème of NCR, and the prospects here are numerous – whether it is IT or any other profession. Many of the Fortune 500 companies have set up offices here. Obviously, the region has attracted many well-read and well0eduvcated people to make the city their home. Thus, the demand for smart and contemporary residences is high in Gurgaon. Many builders have come into the area. One such developer with over 25 years in the business of real estate is the Supertech brand. They have now ventured forth into greener and more serene locales ahead of Gurgaon towards Manesar. This is where the nerve centre of new developments in Gurgaon is now shifting. 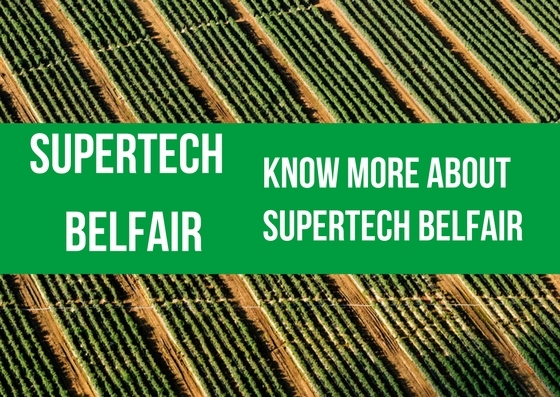 The project under development is a residential one, called the Supertech Belfair. 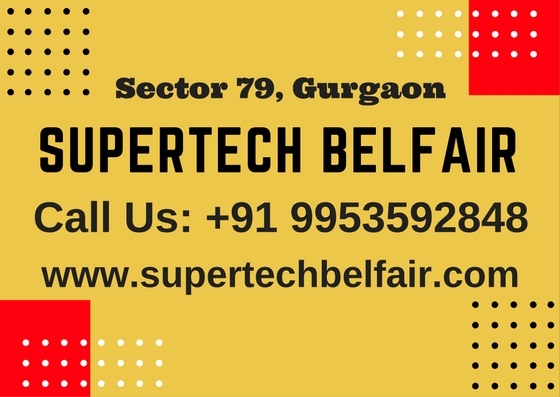 Located in Sector 79, it is near the lifeline of Gurgaon, the NH-8 and also near the SPR, but yet ensconced a bit away from both the major transport corridors. Thus, it has best of connectivity, yet is a bit secluded from noisy traffic. 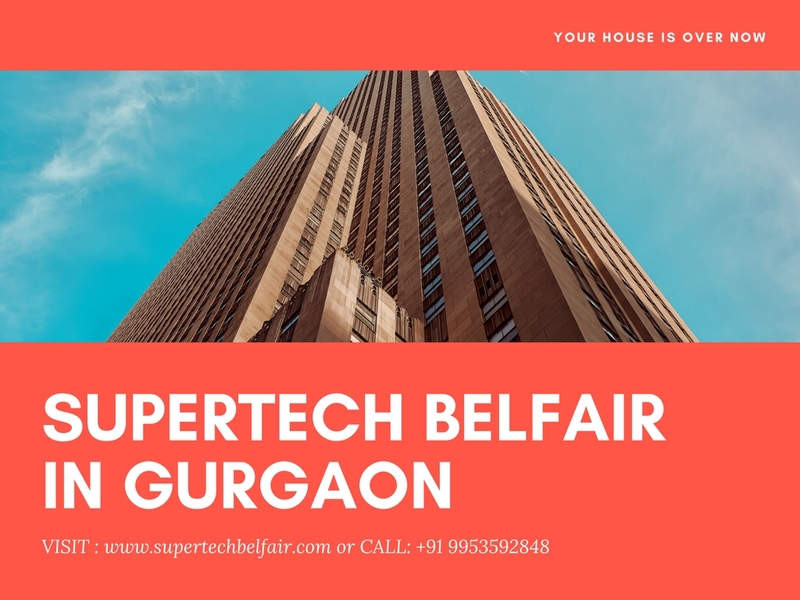 Supertech Belfair Gurgaon has smooth access to many schools, colleges, offices, retail centres and social amenities. The McDonald’s and Karma Lakelands are nearby, as are many developments from reputed builders all around. Thus, this is a posh neighbourhood. The campus is plush and very green. There are 1 and 2 BHK apartments being offered in Supertech Belfair Sector 79. These are laid out with a right mix of space usage, privacy and comfort. The areas of these abodes range from 625 to 1020 sq. ft. The homes have well-lit rooms and free circulation of fresh air and natural sunlight all over. The campus here is well fed with superb amenities and facilities that cater to the overall well-being of the residents. There will be features for pleasant relaxation, recreation, fitness and good health. This includes a kids’ play area where they can enjoy the outdoors play, and a lot of green manicured parks and gardens. Then there are areas for various sports. Clean, smart and pleasant – this is how the project will look once completed. The price of the apartments here are in the range of Rs. 26.71 lakhs to Rs. 43.60 lakhs. With such an elite vicinity that includes a 9-hole golf course, the prices here will surely escalate in the times to come. Step into a new world here!